Garden Chaise Rocker Bed with modern design fits the ambiance of any home looking for that next state-of-the-art outdoor piece. Design is simple,comfortable and humanized with fluent line, enjoy the comfortable life. Polyurethane stops on the back side of the frame, prevents the chaise from tilting uncomfortably backward. Outdoor Chaise Rocker has Two removable head cushions make reclining easy and canopy provides a cool, shady escape. Polyester canopy to block those UV rays while reading a favourite book. Looking for ideal Double Chaise Rocker Bed Manufacturer & supplier ? We have a wide selection at great prices to help you get creative. 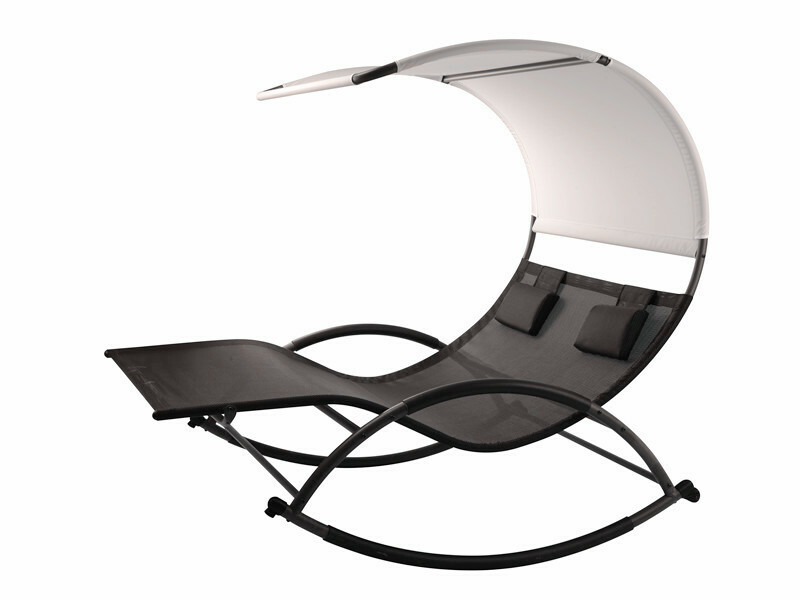 All the Garden Chaise Rocker Bed are quality guaranteed. We are China Origin Factory of Outdoor Chaise Rocker. If you have any question, please feel free to contact us.